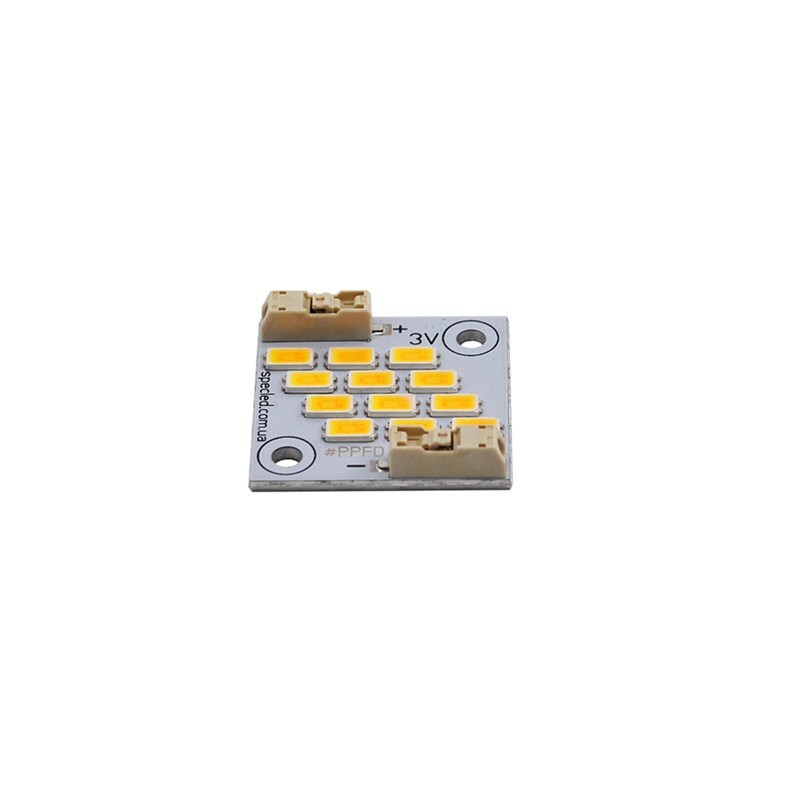 Square LED Module 2-7W, 3500K/6500K. 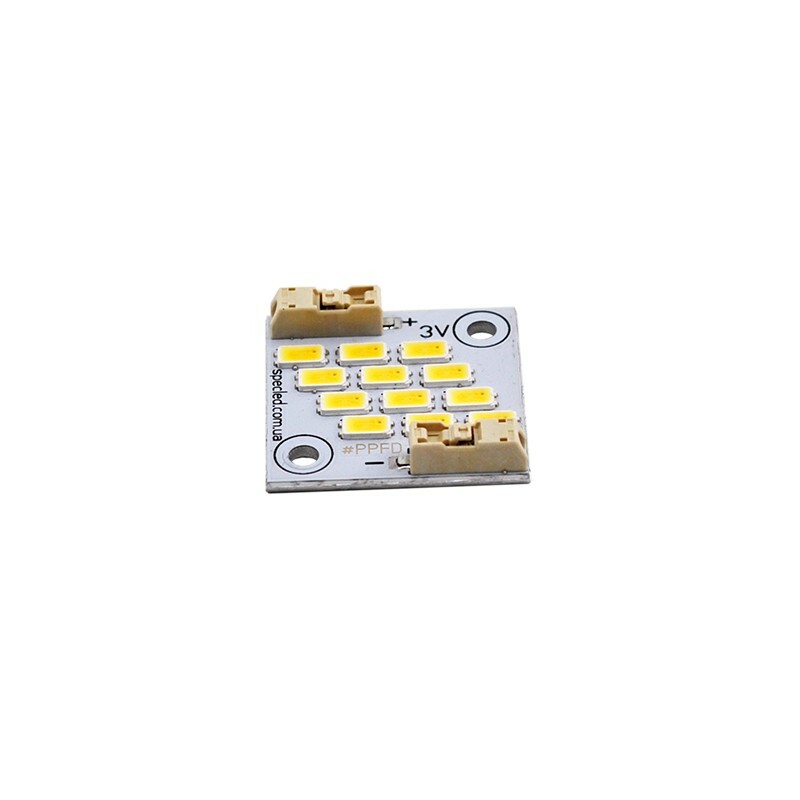 LEDs Samsung LM561C, light output 201Lm/W. The module is equipped with connectors for wired. 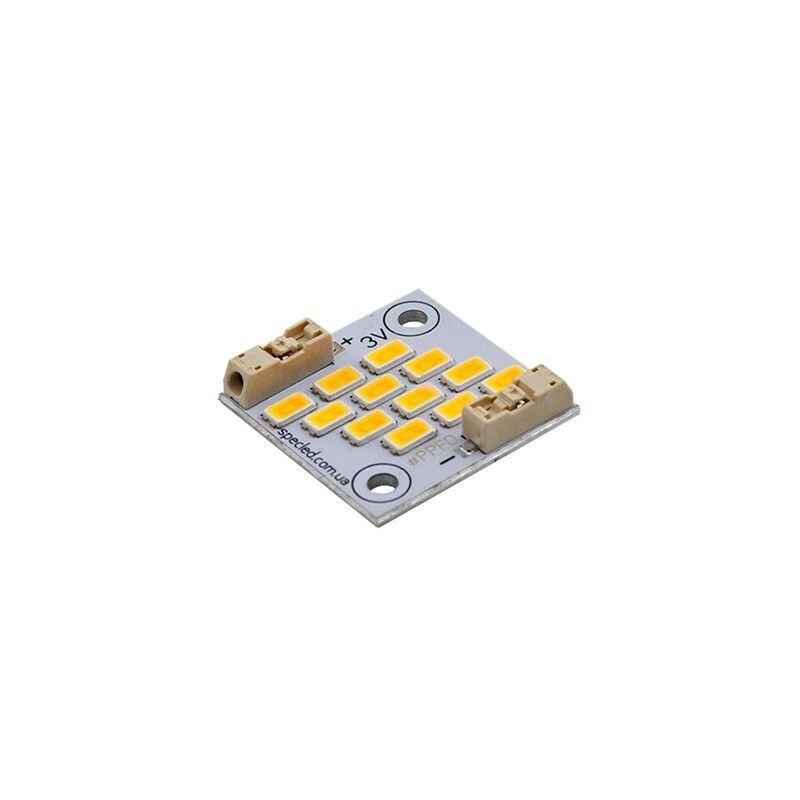 The LED module of the Square series is designed for simple self-assembly of various LED lamps. Has a wide field of application. Excellent for the assembly of growlamps with extended spectrum and lateral illumination in growbox, linear lamps for closed-type shelving systems. It is possible to apply in cars and other auto transport. Various household and industrial applications. 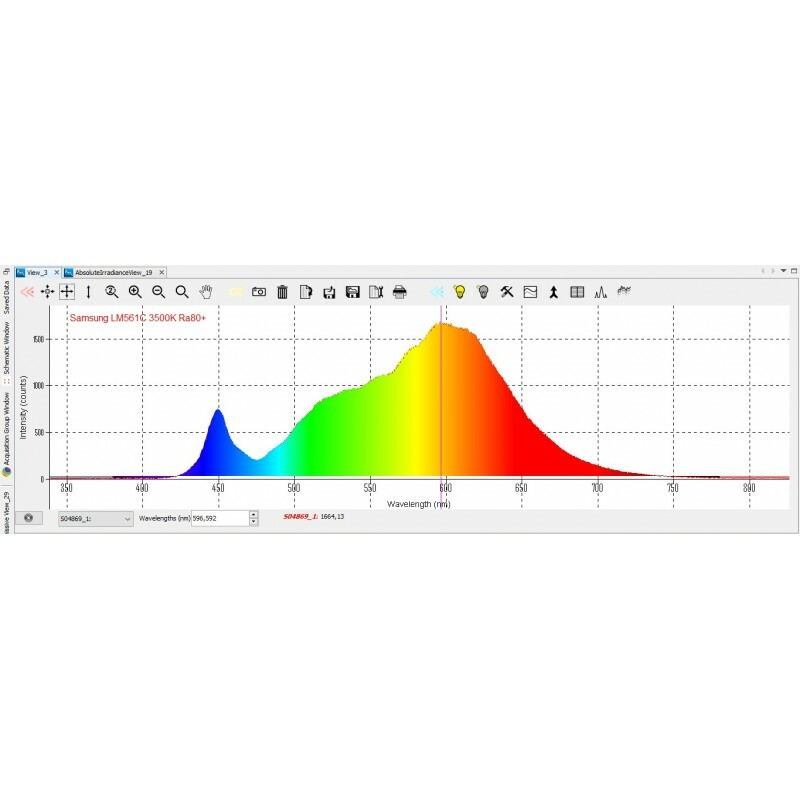 An important feature is a high color rendering index, Ra> 80 and a low level of heating. 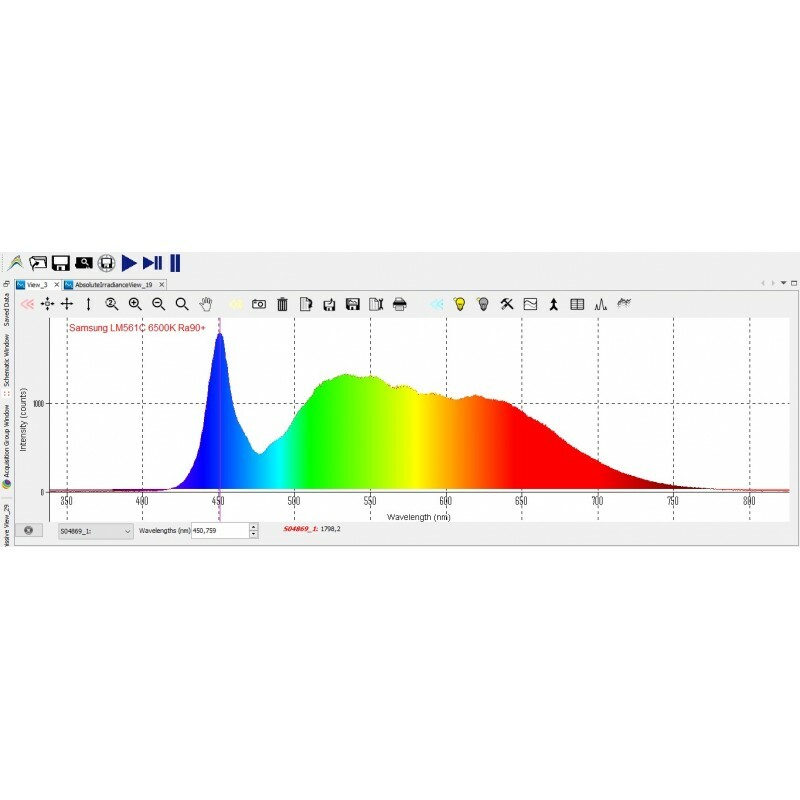 The 6500K LED module has a light transmission index (CRI) of more than 90 units, this is a good value when using the module in lamps for photo and video shooting, as well as lamps for lighting marine and fresh aquariums. The presence of collet type connectors makes it easy to connect modules together without using a soldering. 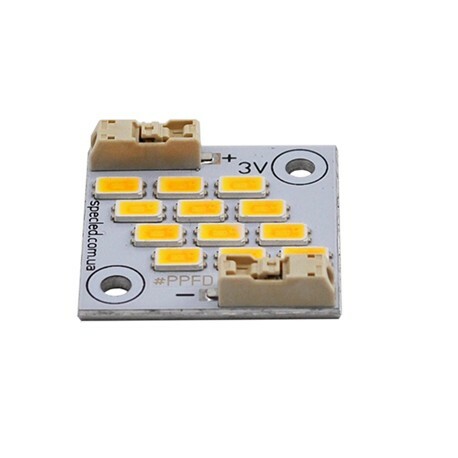 The LED module must be mounted on an additional heat think using thermal paste or heat-conducting glue. 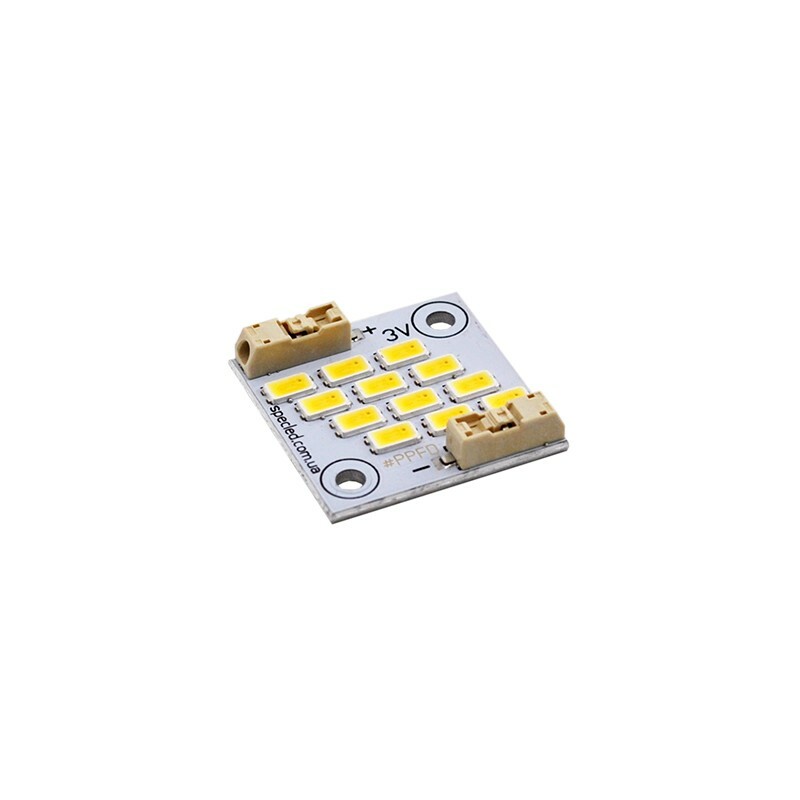 Samsung LEDs have a very high efficiency, heating the module in the nominal operating mode is relatively low.